Use as "Table Clock" at office and use as "Bedside Clock" at home. 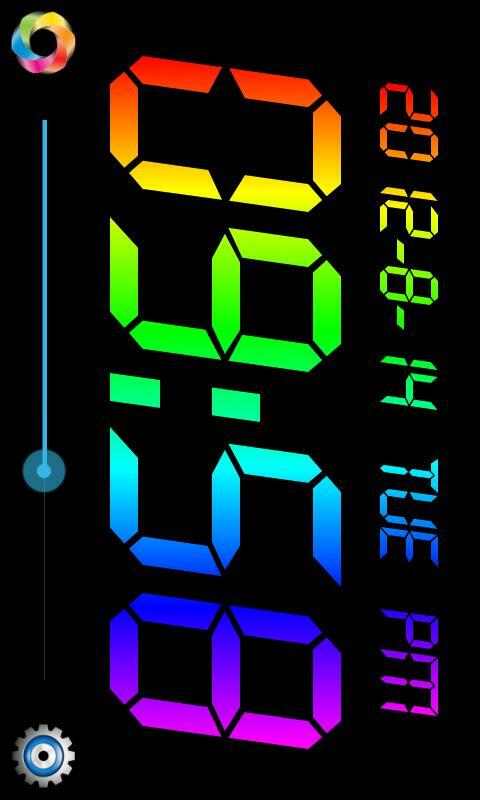 ◆ Changeable 10 kinds of digital clock. ◆ Changeable 14 colors every clock. ◆ Beautiful Rainbow Color animation !!! - Support WSVGA (600 x 1024) for Samsung Galaxy Tab 7"